Saudi Arabia on Sunday threatened to retaliate for any sanctions imposed against it after President Donald Trump said the oil-rich kingdom deserves “severe punishment” if it is responsible for the disappearance and suspected murder of Washington Post contributor Jamal Khashoggi. The warning from the world’s top oil exporter came after a turbulent day on the Saudi stock exchange, which plunged as much as 7 percent at one point. Already, international business leaders are pulling out of the kingdom’s upcoming investment forum, a high-profile event known as “Davos in the Desert,” and the sell-off on Riyadh’s Tadawul stock exchange showed that investors are uneasy. Do you believe Saudi Arabia deserves the sanctions from President Trump? But the president has also said “we would be punishing ourselves” by canceling arms sales to Saudi Arabia. The sales are a “tremendous order for our companies,” and if the Saudis don’t buy their weaponry from the U.S., they will get it from others, he said. 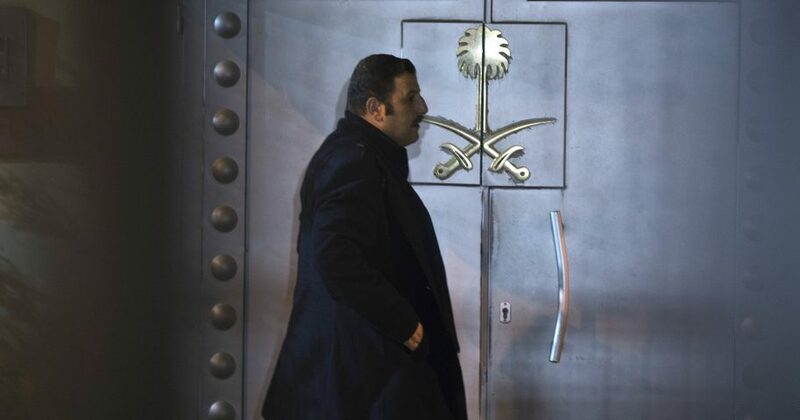 “The kingdom affirms its total rejection of any threats and attempts to undermine it, whether by threatening to impose economic sanctions, using political pressures or repeating false accusations,” the statement said. Prince Mohammed has aggressively pitched the kingdom as a destination for foreign investment. But Khashoggi’s disappearance has led several business leaders and media outlets to back out of the upcoming investment conference in Riyadh called the Future Investment Initiative. That includes the CEO of Uber, a company in which Saudi Arabia has invested billions of dollars, as well as billionaire Richard Branson.